Convert mails from Exchange mailbox to EML file format along with its attachments. No need of Exchange Server environment to save EDB mails to EML file format. Transfer Exchange Server messages from single and multiple EDB database while maintaining folder structure. Export data from healthy as well as highly corrupted EDB files instantaneously. Export mails from Exchange EDB Mailboxes to EML Format and move EDB data from Online and Offline files exist in either Private or Public Store. The software gives two options for conversion of EDB file to Windows Live Mail EML file format. You can choose any of the desired option accordingly to perform conversion. Select Folders – it allows you to save multiple EDB files in EML format at one a time. 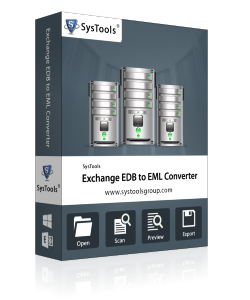 Select Files - it enables you to convert Exchange EDB files into EML format one by one. The application is programmed in such manner that it maintains the integrity of data after conversion of EDB file. It conserves the attachments, Meta properties, folder hierarchy, formatting, etc. in exact form. 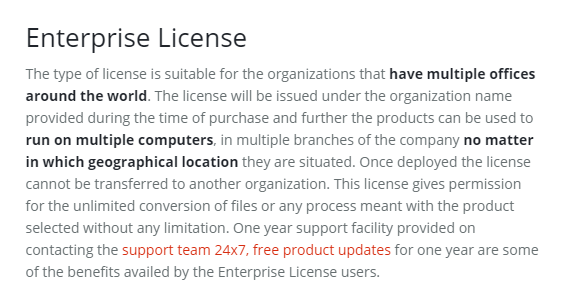 No any changes will be done with the original styling of data after conversion to Thunderbird EML file format. When an EDB file is added to the tool, the software by default performs quick scanning on it. However, if the EDB fie is suspected to be highly corrupted, then choose "Do Advance Scan" option can be enabled in the tool. This will help to retrieve data from EDB file that has physical or logical corruption issues. Software successfully extracts emails from offline EDB file and restore it into EML file format. While performing the data conversion by making the use of the software EDB to EML Converter it is not essential to have the Exchange environment. The application even recovers and saves corrupted as well as damaged EDB files without losing a bit data information after conversion. The utility gives an option to store the converted data files at required location on the machine. It is the most useful as well as beneficial feature as users can easily manage their converted data files at desired location of hard disk and gives a facility in making a new folder to store the resultant data items. The tool supports all the EML supporting email applications such as of Windows Mail, Thunderbird, Windows Live Mail, eM Client, Outlook Express, Dream Mail, etc. The application is a standalone utility that it does not require any email application installation on the system to perform the data conversion. The tool allows users to set email names in different formats such as Subject , Subject+Date, Date+From+Subject etc. while saving Exchange emails in local machine. One of the notable feature of the tool is date filter option which enables user to filter mails of a particular time period. This option helps in exporting Exchange email to EML date wise. A new window will appear which shows live export process. Once the process completed, tool will generate status report which can be saved in CSV file. Download the freeware to analyze the working of the software before purchasing the complete edition. Trial version can load, scan, and generate preview of the EDB file. The only limitation is that it cannot save EDB mailbox to EML. Single application with various functionalities, this is what describes Exchange 2010 Export Mailbox to EML. The tool is algorithm in such a way that it converts all the EDB data items of the EML file format independently. No need to look around for other application for separate tasks, as this software efficiently handles everything on its own. I had numerous opportunities lined up in front of me to get all my EDB mails into EML format. However, I was searching for the utility that I can trust. Then, I found this Exchange EDB to EML converter software and fell it on its first glance.